This item copied from the original UConn Today article by Elaina Hancock. The original article can be found here. Two UConn physics professors will be among the world’s first scientists to explore the universe using the new James Webb Space Telescope, as announced earlier this month by the National Aeronautics and Space Administration. Just like the highly anticipated release of a new phone, game, or gadget, astrophysicists worldwide are eager to start using the new telescope, the latest technology for viewing distant elements of our universe, which is currently set to launch in 2019. But rather than stand in line for hours outside a store, researchers had to submit compelling proposals to secure their spot in line and an opportunity to use the new technology. The highly competitive, peer-reviewed James Webb Space Telescope Early Release Scienceprogram was created to test the capabilities of the new observatory and to showcase the tools the telescope is equipped with. Of more than 100 proposals submitted, only 13 were chosen to participate in the early release phase, including two separate proposals involving UConn researchers Kate Whitaker and Jonathan Trump, both assistant professors of physics. 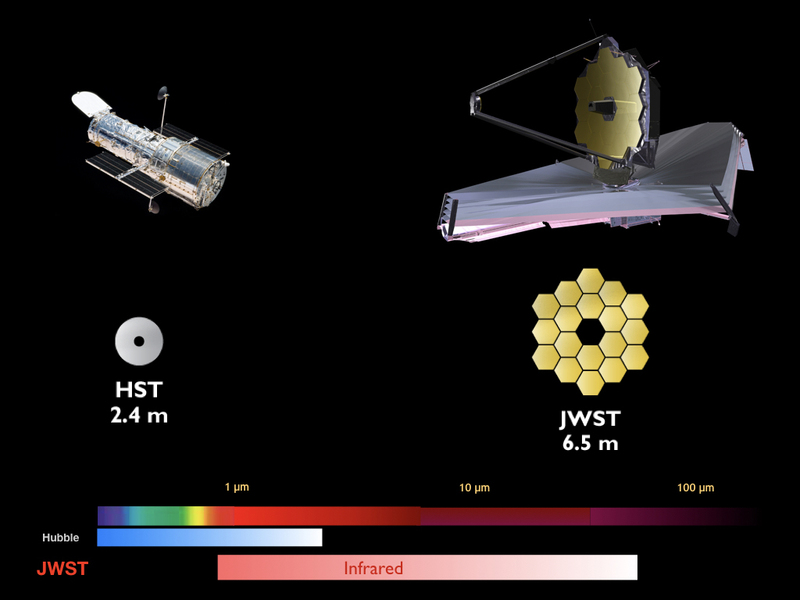 The James Webb Space Telescope, designed to be a large space-based observatory optimized for infrared wavelengths, will be the successor to the Hubble Space Telescope. The Hubble telescope has been a versatile workhorse and vital tool since its launch in 1990, allowing researchers to peer deep into space and get crisp glimpses of distant galaxies. But it has technological limitations, and is not currently scheduled for any upgrades or servicing. Since its last service in 2009, Whitaker says, many researchers have been keeping their fingers crossed that it would continue functioning. Hubble is currently the only way to make observations that are required for the type of research she and many others conduct. 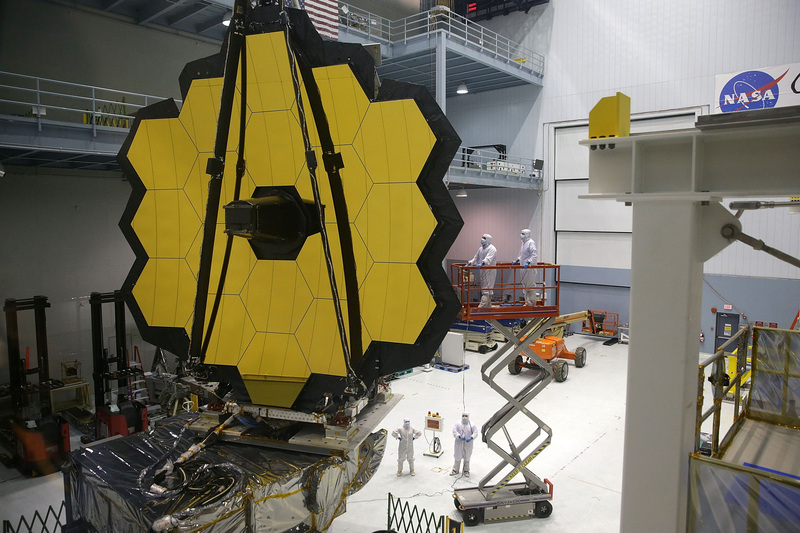 The James Webb Space telescope is equipped with tools that will surpass Hubble’s capabilities. Webb will be launched further into space and will be capable of powerful imaging that will produce sharper images and be able to capture images into the infrared range. Peering into the infrared range allows researchers to observe signatures, in the form of light, from events that happened long ago. The universe is constantly expanding and as light travels, it gets stretched over time, Whitaker explains. The further back you go, say a few billion years or so, the light is stretched so much that it will shift from the visible region of the spectrum into the infra-red. 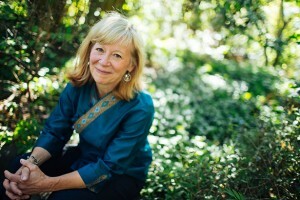 Whitaker is a science collaborator on a proposal titled “TEMPLATES: Targeting Extremely Magnified Panchromatic Lensed Arcs and Their Extended Star formation,” exploring star formation in galaxies at a distance of around 10 billion years in the past, something impossible to observe until the high resolution of the new telescope. They hope to more closely study characteristics of those distant galaxies that have until now, only been discernible in more local galaxies. “Since we cannot travel to these distant galaxies, all we can do is sit here and wait for their light to reach our telescopes,” says Whitaker. Trump is a co-investigator on the proposal called “CEERS: The Cosmic Evolution Early Release Science Survey,” a plan to conduct an extragalactic survey in hopes of gaining insights into the formation of the first galaxies following the big bang. They plan to look at aspects of the assembly of galaxies, including their number density, chemical abundance, star formation, and the growth of supermassive black holes. The Early Release Program is aimed not only to showcase the capabilities of the James Webb Space Telescope right away, but to make the data publicly available as soon as possible. It is anticipated that the data will facilitate huge breakthroughs in research. Stay tuned: 2019 promises to be an exciting year in astrophysics.